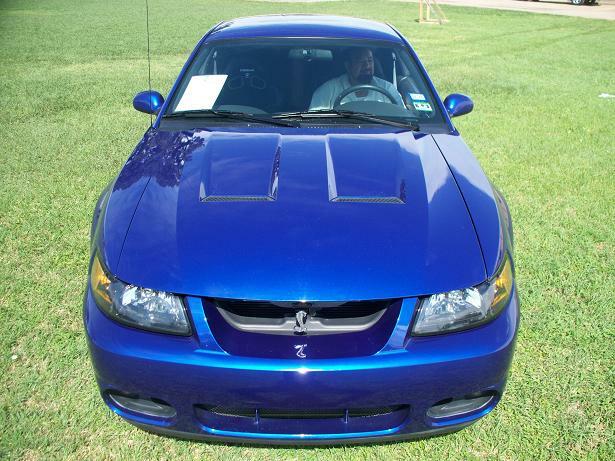 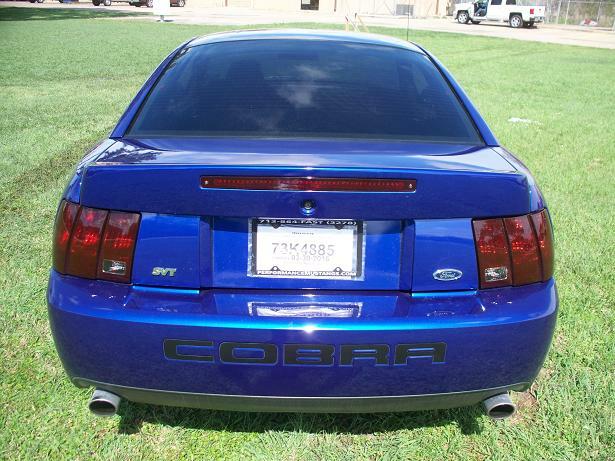 THIS 2003 SONIC BLUE MUSTANG COBRA “TERMINATOR” IS A FLAWLESS CAR SHOW WINNER, ONLY 26K ORIGINAL MILES – LOTS OF DOCUMENTATION, MILEAGE & NO ACCIDENTS CERTIFIED BY AUTOCHECK SHE STILL HAS THAT NEW CAR SMELL WHEN YOU GET INSIDE. 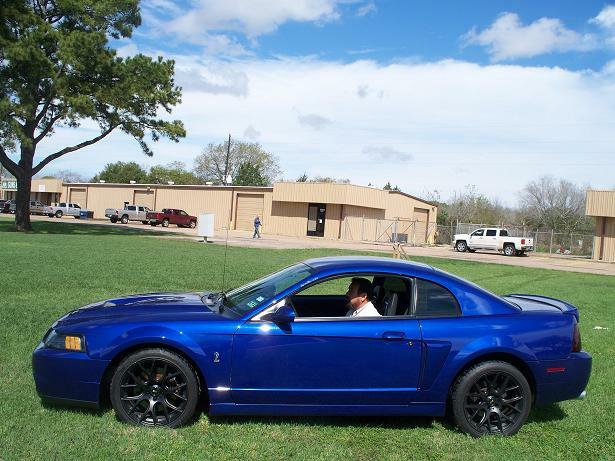 FOR POWER SHE IS RUNNING A 4.6 V-8 MOTOR, DOHC, 32 VALVE COBRA MOTOR, 2.6 LITER KENNE BELL SUPERCHARGER, DYNO TUNED TO 640HP (552 RWHP) BY TRIANGLE SPEED SHOP USING A SCT TUNER. 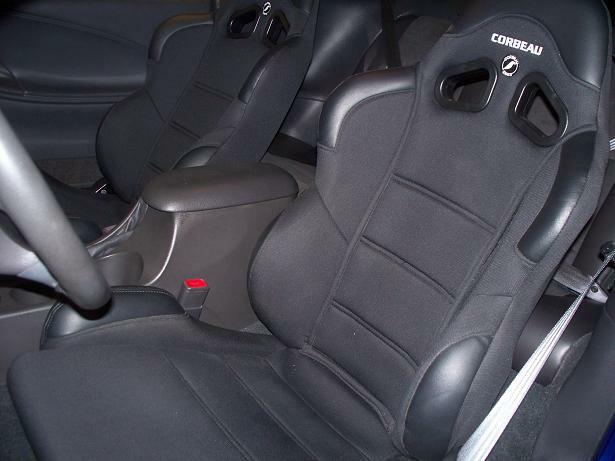 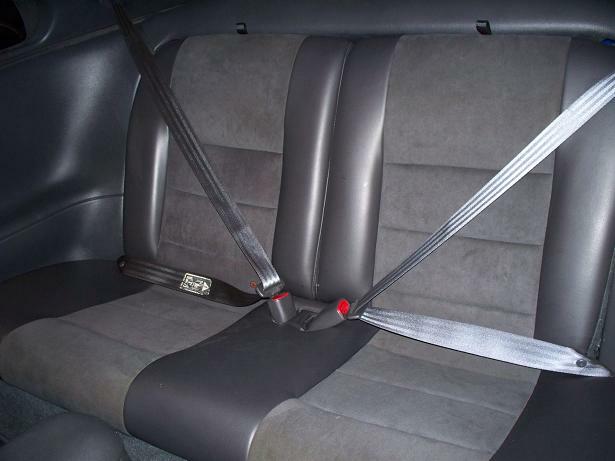 SHE HAS A BLACK PRISTINE INTERIOR WITH CORBEAU FRONT SEATS. 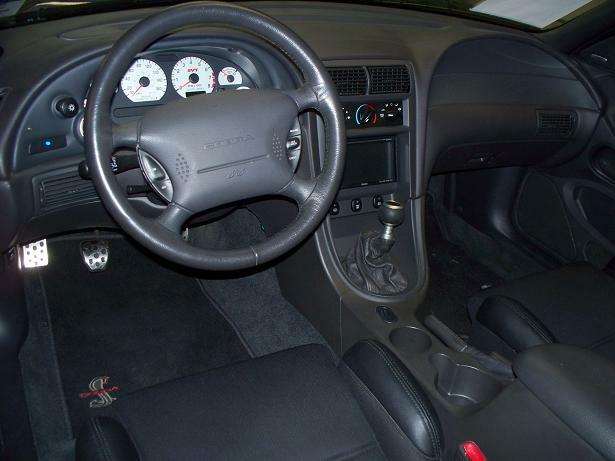 STIR THE GEARS WITH A 6 SPEED MANUAL TRANSMISSION. 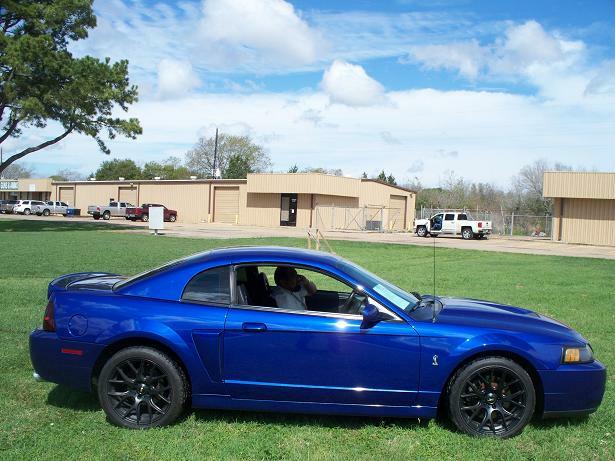 SHE RIPS THROUGH THE RPMS WITH AN ALUMINUM DRIVESHAFT, INDEPENDENT REAR SUSPENSION WITH 3.73 GEARS. 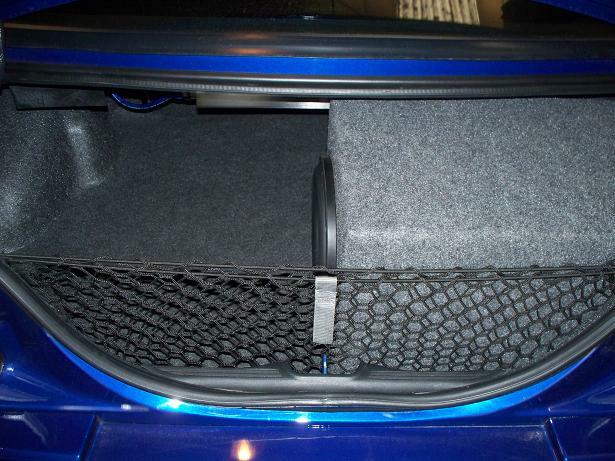 SHE HAS BOOST & AIR/FUEL ATIO GAUGES IN DASH A CLARION AM/FM/CD/NAVIGATION/BLUE TOOTH/IPOD/USB PORT, POLK AUDIO 10” SUBWOOFER WITH A MASSIVE NX-5 AMPLIFIER IN TRUNK. 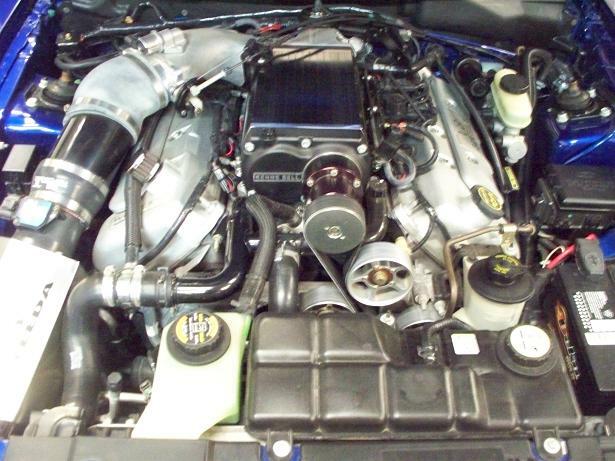 ALSO, SHE HAS A FLUIDYNE HEAT EXCHANGER, STEEDA COLD AIR INDUCTION, SCT MASS AIR FLOW METER, JLT INTAKE PIPE, ACCUFAB THROTTLE BODY, 60# FUEL INJECTORS, KENNE BELL BOOST – A – PUMP, PDX CLUTCH, STEEDA TRIAX SHIFTER, MAGNAFLOW STAINLESS STEEL EXHAUST INCLUDING HIGH FLOW CATS AND MUFFLERS, IR REAR END BRACE, HAWK BRAKE PADS, NEW SVE 18” BLACK MATT WHEELS, 18 X 10 REARS & 18 X 9 FRONTS, BF GOODRICH G – FORCE T/A KDW TIRES, 295/35/18 REARS & 275/35/18 FRONTS AND, AS IF IT MATERS, SMOKED TAIL LIGHTS. 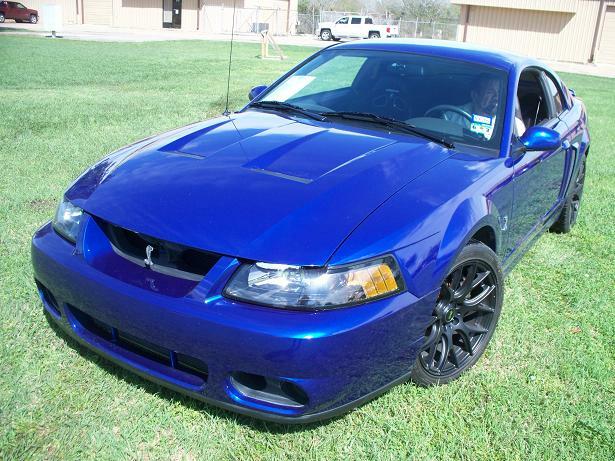 THIS CAR IS MINT, BEAUTIFUL AND EXTREMELY FAST!